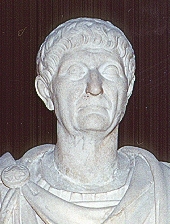 Father of Trajan, died 100 AD. He was also related to Hadrian since he was the brother of Hadrian’s grandfather. 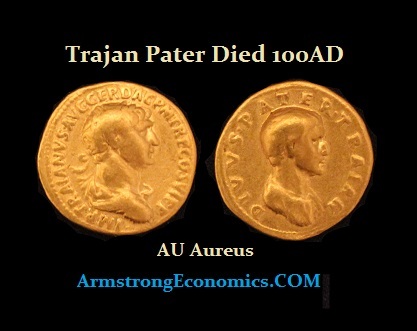 Out of respect for his family, Trajan issued commemorative coinage for most members of his family following their death. He honored his father both in sculpture as well as on the gold coinage of Rome.